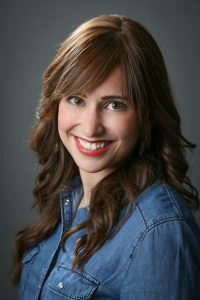 I’m so happy to feature Yael on my blog! She’s a work from home mom with four little adorable boys! 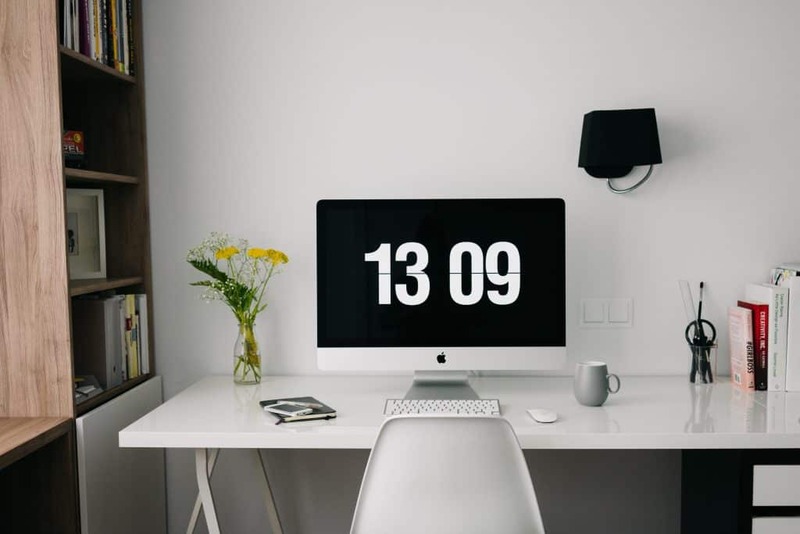 She was a wonderful student through the Blog by Number course that helped her setup her blog, and now she’s making an income working from home! I love all of her time management tips, especially when she mentions the love bank! Since I had my first son almost 8 years ago at the age of 19, I thought I’d always be a stay at home mom. My mother had been a lawyer when we were younger, and she hated being away from us for so many hours a week. I’d kind of imbibed that thinking, and honestly, I never felt any burning need to “get out of the house”. To hang out with friends, maybe. But to work? I made a career out of being a SAHM. 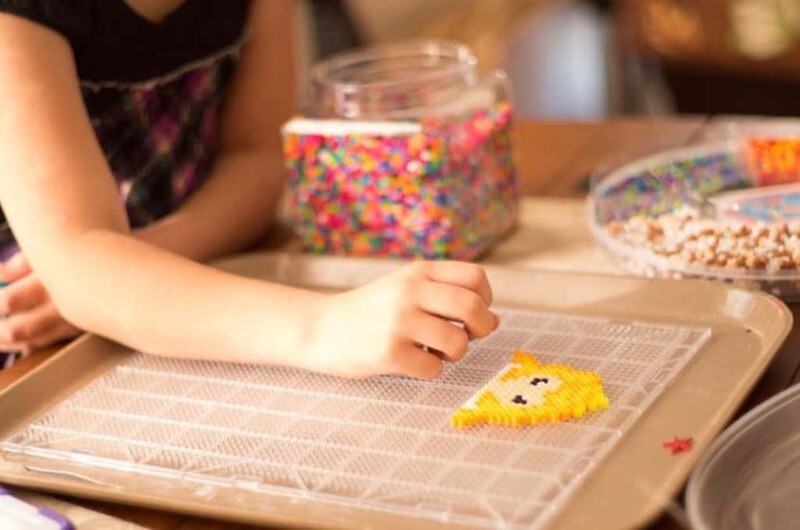 I followed all the mom blogs, I baked amazing cakes for my kids birthdays, I created a homemaking schedule, I meal planned, I made Mommy Camps for my littles complete with a schedule of activities and outings – I’m a Type-A perfectionist. If I was going to be a stay at home mom, I would be THE ULTIMATE stay at home mom. But, as we all know, life happens. 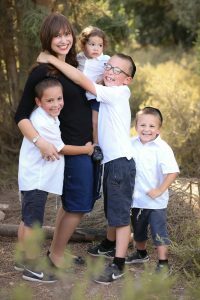 3 more boys later, my husband and I realized that one income wouldn’t cut it anymore. We live in a country where the pay isn’t great but expenses aren’t that low either (thank God for socialized medicine!). My husband was working full-time in his air conditioning business, so the income had to come from somewhere else. And that someone was going to have to be me. 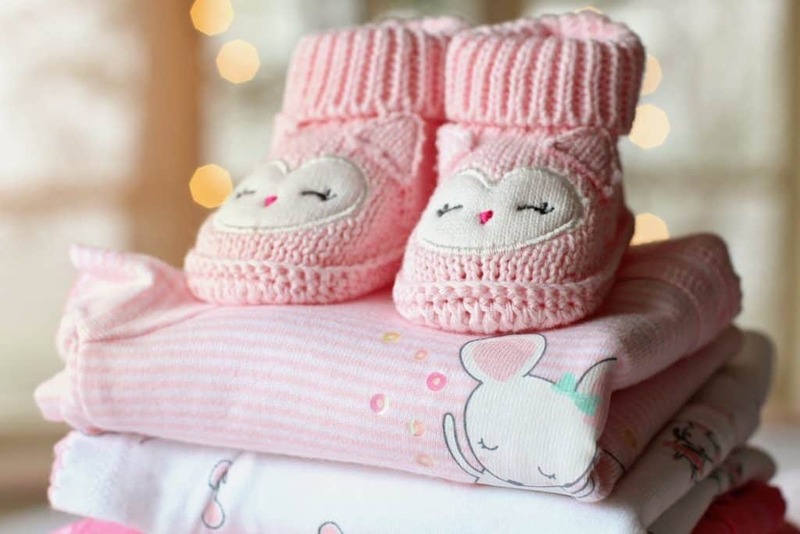 After doing some research, we realized that unless I worked full-time out of the home, at minimum wage or close to it, we might just about cover the childcare with a little bit left over. THAT was out of the question. If I was going to be sending my baby out all day, I told my husband, I’d better be making SERIOUS money. So I looked into work at home options (I wrote a whole post about it here). Blogging kept coming up as the perfect side hustle for a stay at home mom. 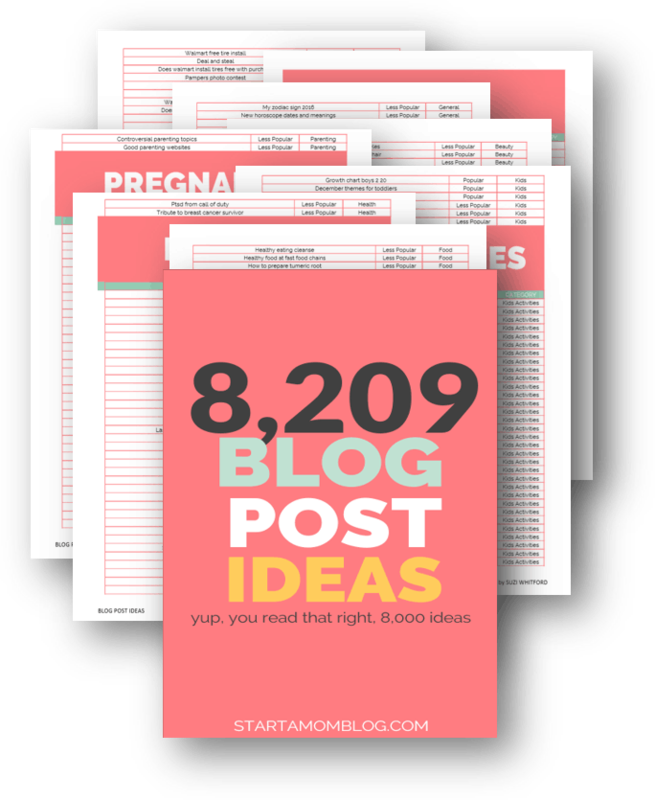 That was where I found Suzi and Blog by Number! I was instantly hooked. I’d loved writing in high school, and I’d read so many mom blogs over the years – and Suzi was telling me I could be just like them! 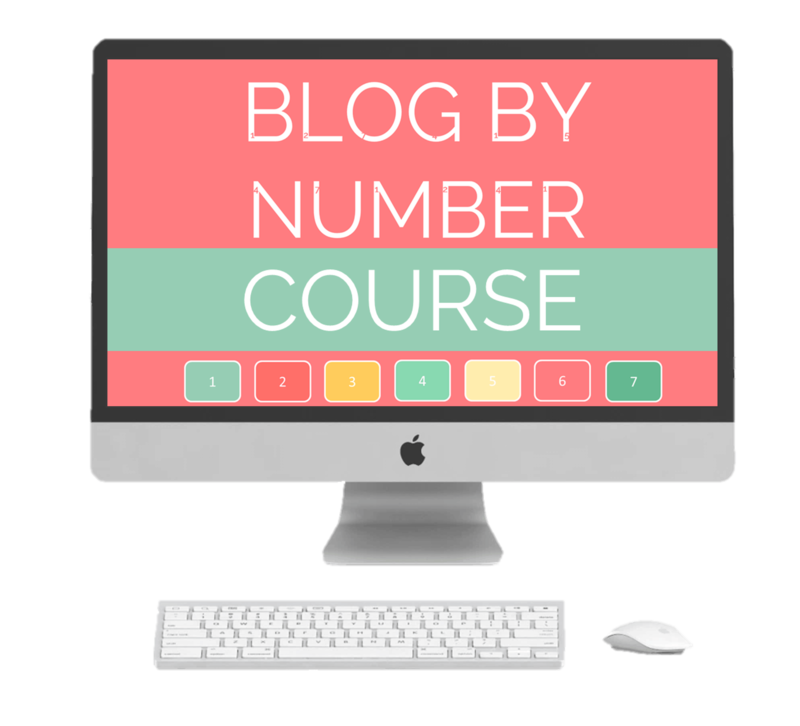 I went through the whole Blog by Number course, and I researched blogging, emails, social media and more obsessively for months. And I started my blog, An Organized Mommy. It was for stay at home moms who wanted to streamline their lives and find better and easier ways to do pretty much anything. But I quickly saw that blogging was more of a long-term game. I still enjoyed it, but I wasn’t going to be making a full time income right away or even a part-time one!  After reading Suzi’s Income Journey ebook, I realized that I needed to figure out a main work-at-home business, and fit my blog into my side hours. I knew it was possible, I just had to figure out what I could do. A blogging friend of mine recommended that I start doing VA work, like selling roundups and graphics on Facebook groups. I started to look into it, and the more I read about being a virtual assistant, the more I loved the idea! I had tried to do freelance writing, but I found it a little bit monotonous and I wanted to be doing all different kinds of things. I realized that all the skills I had learned to apply to my own blog, I could apply to other blogs and businesses! Thank God, I’ve managed to build up a few clients by now (after 3 months of working) and I’ve been steadily filling my available working hours! I love what I do, and that’s the best place to be. But it’s been a major learning curve. Before I started working, I had only my home and family to concentrate on. Now, my brain is constantly split between being the mom and wife who needs to be there for her family, and being the VA who needs to be there for her clients. I’ve come up with a few techniques that help me fit it all in. Being a major multitasker myself, I hate to say this. But batching your work and focusing on one type of work at a time ensures that you can concentrate better, your work is of better quality, and that you’ll get things done faster. As a mom of small kids, I was used to this. I always broke everything down into stages – including cooking and cleaning! My friends all wanted to know how I got so much done in a day, and that was all I told them. Need to make cookies? Make the dough the night before and stick it in the fridge to bake the next day. Dinner? Prep everything in the morning or the night before so you could just throw it together. The same principle works for me now. I’ll collect Pinterest image drafts and stick them into Tailwind for a client. Then later when I have more time, I’ve got everything sitting there ready for me to schedule. Or I’ll outline a blog post in Evernote on my phone while we’re driving (that’s what I did with this post, actually). That way, later, when I sit down to write the post, most of the steps are done. You can break down pretty much any task if you just think about it. Figure out what steps you take to carry it out, and then complete a step in your five or 10 minute increments of time. You’ll have half the work done when you finally do have time to complete the whole thing. Put time into the love bank. I do have to work in the afternoons sometimes when my kids are home from school. I try not to, but with the time difference between myself and my clients, it can sometimes be unavoidable. When I’m not working, I read to them, play a game, hug my toddler on my lap while I chat with one of his big brothers. I also stagger my kids’ bedtimes so they each have some time alone with me, and we do 5 minutes of chatting together in bed before I kiss them goodnight. When you’re regularly depositing love into the bank, you can make some withdrawals (i.e. working and not giving them attention) without major ramifications. Quick Tip from Suzi: I love this technique! It’s just impossible as a mom to spend 24 hours focusing on your children, you’re going to run out of energy. Kid’s crave that one on one time, the physical touch, the eye contact. If you are truly present with them when you are present, you’ll fill the love bank so you can focus on yourself, your husband or your work later. 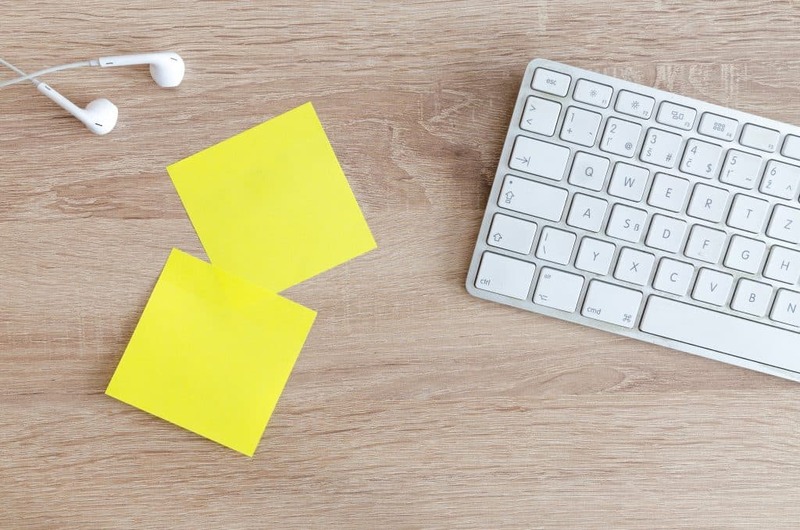 Have activities planned for when you need to work. As mentioned, sometimes working while your kids are home is going to be unavoidable. I have all of my children out for 4.5 hours a day. Then they come home at different times throughout the afternoon. I do have to take 15 minutes or so in the morning to plan what they’ll do in the afternoon. I love busy bags. You can find SO many ideas on Pinterest. I’ve been swamped lately so I haven’t created any new ones, but I do have to find the time. When all else fails, YouTube is your friend. To eliminate some of the screentime mom guilt, I make sure that whatever they watch is educational, like Magic School Bus and Wild Kratts for the big boys, and Barney for the younger ones. My 6 year old loves to watch cake decorating videos. I suppose that’s educational in its own way – maybe he’ll become a pastry chef! Quick Tip from Suzi: When I do have to be on a call for my blog and my kids are underfoot, I let them watch Netflix – the sweetest shows that are somewhat educational and not at all annoying are Octonauts, Mouk and Puffin Rock (my favorite!). Of course, 5 AM is pretty drastic. You can start small. 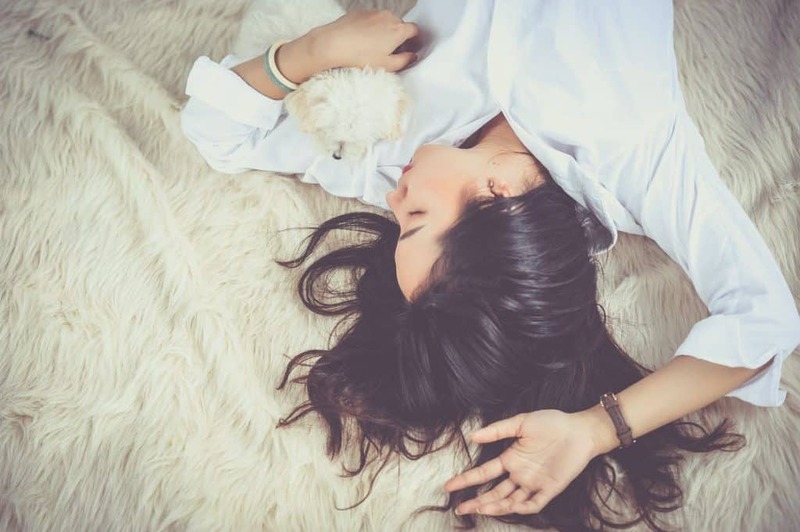 Waking up even half an hour earlier will do wonders for your day. You can get a few small task done to get ahead of your day, but it’ll save time even if you don’t do any work. Sitting quietly with a cup of tea or coffee, thinking about the day ahead, and looking over what you have to do that day will help you immensely. 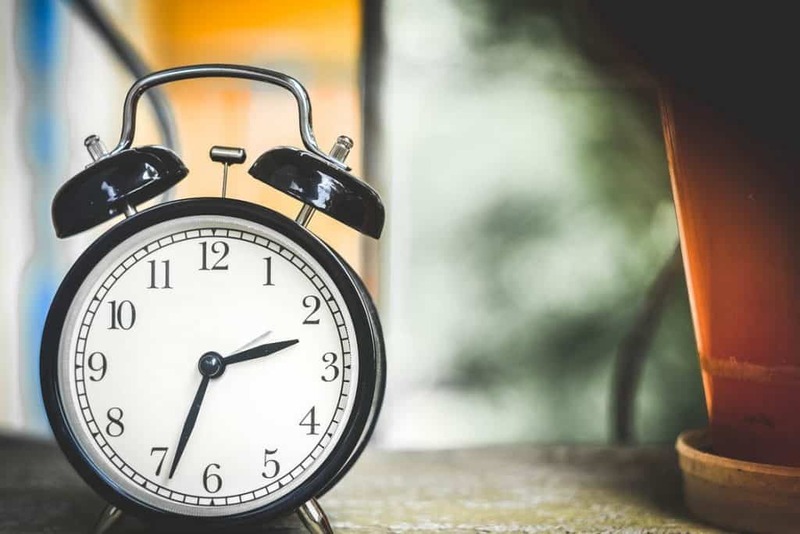 I find that knowing your schedule for the day ahead of time is super important and will ensure that when you sit down to work you’ll be ready without having to THEN waste time figuring out what needs to get done and what you have time for. 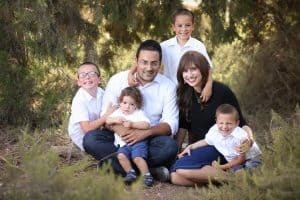 Quick Tip from Suzi: One of the big reasons why I’ve been able to grow my blog while raising little ones is because I wake up at 5:30 AM with my husband. It gives me a few hours of quiet to write blog posts, answer emails and load social media queues. I also use this super simple weekly schedule when I get overwhelmed! Systems and routines in the home. Everything in my house has a system and a routine. It’s always been that way, but now more than ever, things need to run smoothly! We have a morning routine, an evening routine, and an afternoon routine. I have a system for laundry, a system for meal planning and grocery shopping, and a system for cleaning that I adapted from Clean Mama. You have to figure out what helps YOUR family run in a smoother way, but once you have it, make it automatic. For example, I do laundry twice a week, on Sundays and Wednesdays. I always sort the laundry on Saturday and Tuesday nights, and put the first load in of things to hang so I can immediately switch the loads when I get up. This gives me more time during the day to work where I’d otherwise be doing laundry! I use a mix of Trello and Asana to plan my work. Trello is great for getting my workflows and week organized (I love Trello and even use it to plan our home projects, our family activities, and our meals), and Asana is fabulous for keeping track of tasks and subtasks and who has to take care of what. I use a paper planner for all my home-related tasks. I write down my to-do list every evening for the next day. I also love Evernote. I use it to write and keep all of my blog posts (it syncs to my phone so I can write on the go! ), and I also keep all of my course notes in Evernote, sorted into notebooks. 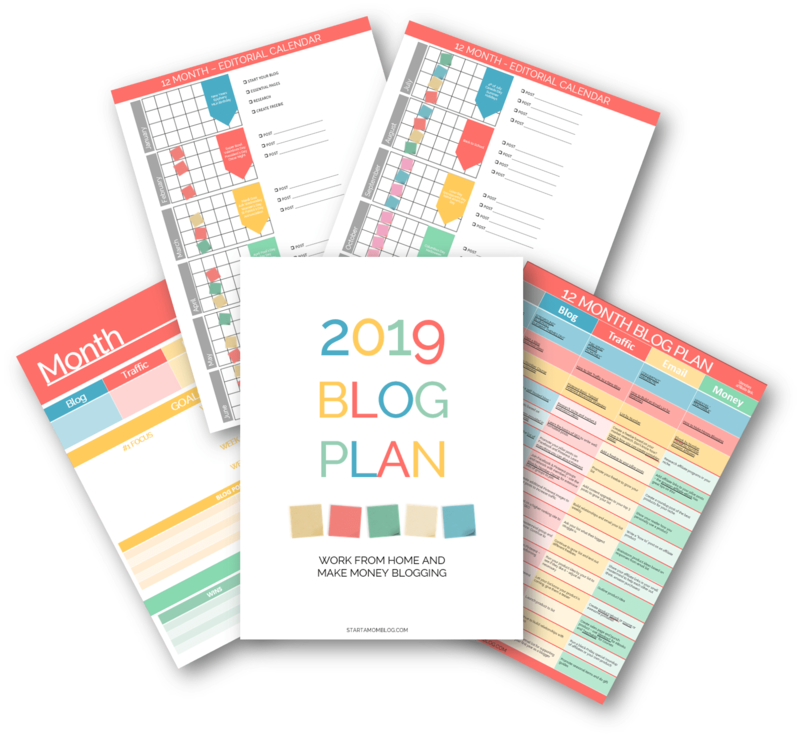 Quick Tip from Suzi: The paper planner that I love to use is a Bullet Journal – it’s a systematic but flexible technique to manage your time. Not all tasks are created equal. 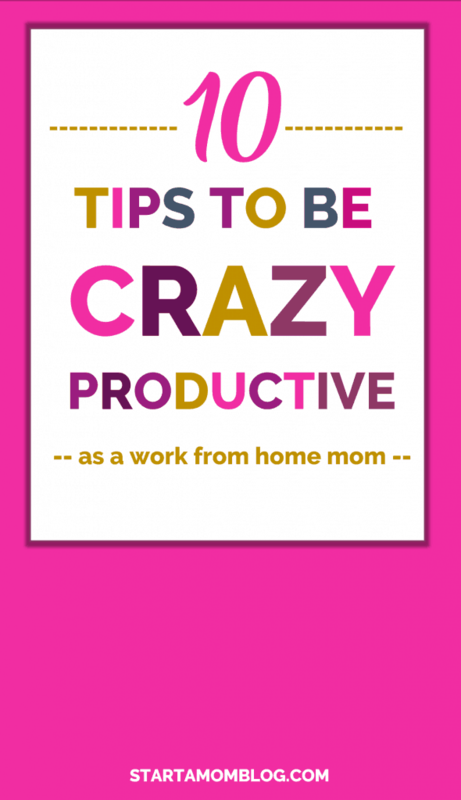 I love Suzi’s post on how to be more productive about this. Every time you’re faced with a task, ask yourself–is it urgent? Is it time sensitive? How much time will this take me? You then use this information to structure your work hours. 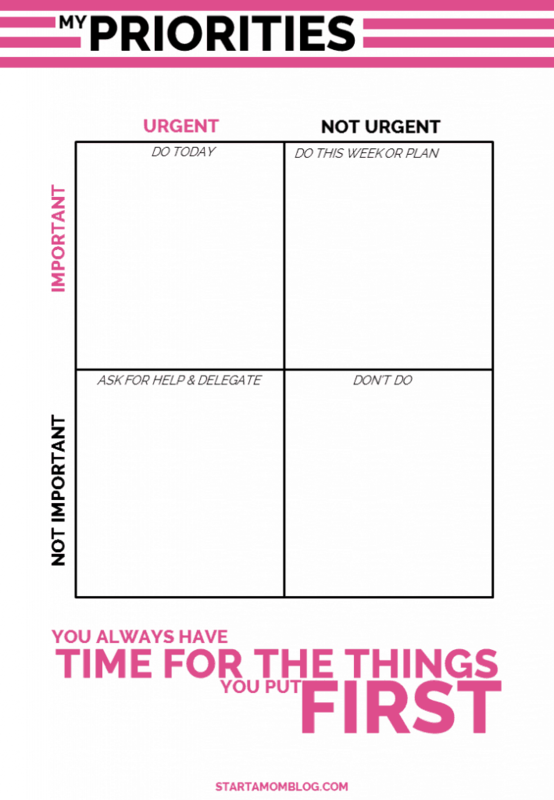 Figure out what’s urgent, what’s important (these are not the same things!) and prioritize accordingly. You’ve got to match your tasks to two things: your energy levels and your surroundings. Save work that you need to concentrate on for blocks of times when you’re alone and alert. For example, while writing this post at 11 PM, my eyes started closing. I decided to finish it first thing in the morning when I would be feeling energetic and the house would be quiet. Schedule social media posts when you only have a few minutes at a time or are feeling tired. When you’re feeling less energetic, that might be a good time to to take the courses you may have bought that have piled up. Work won’t always happen. You’re a mom. This is our reality. Interruptions happen, distractions happen, KIDS happen! Accept it and embrace your time with your family. Isn’t this why you work from home? To be there for your family? If you’re goal focused and manage your time well, you’ll be able to make time for your family without needing a distraction to do it. But when the interruptions happen – close your laptop, put down your phone, and be a mom. Your work will be waiting for you when they go to bed, but your kids won’t wait for you before they grow up!